From November 13 to 15, under the organizational support of the Ministry of Economy of the Republic of Azerbaijan, nine companies represented our country at the largest and most influential fair of spirits, wines and beer in South China – International Trade Fair (Autumn session) of Wines and Spirits titled The 17th China (Guangzhou) International Wine & Spirits Exhibition (Autumn Session) or Interwine China 2016 Autumn held in Guangzhou. Exhibitors showed great interest in Azerbaijan’s stand where Azerbaijani representatives gave extensive information about the export potential of the agricultural sector of the country. The exhibition provided an opportunity and an advantage for the business partnership of Azeri wine producers with trading firms of Hong Kong and exit to the Asian market in the near future. 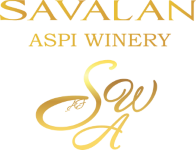 SAVALAN Syrah Red Dry Reserve 2013 was presented at the Interwine Challenge internal tasting competition where it was awarded a gold medal.